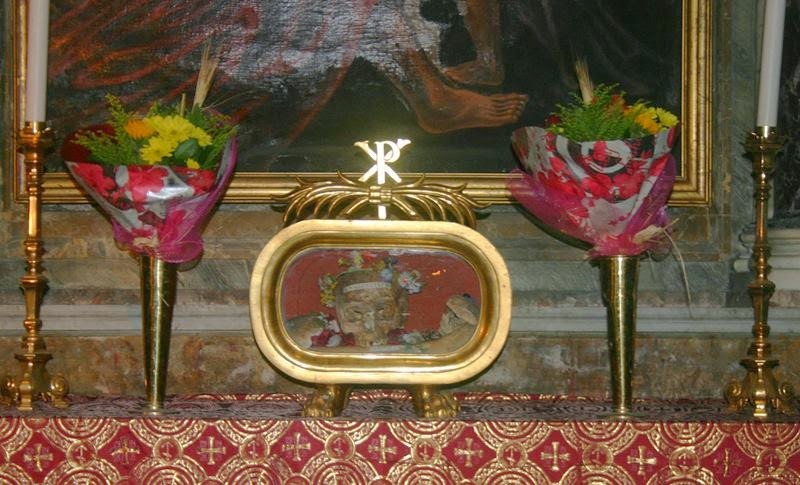 The flower-adorned skull of St. Valentine is on display in the side altar on the left side of the Church of Santa Maria in Cosmedin, one of the most spectacular sights of the Italian capital, which are usually on display in a glass reliquary and brought out for his feast day on February 14. 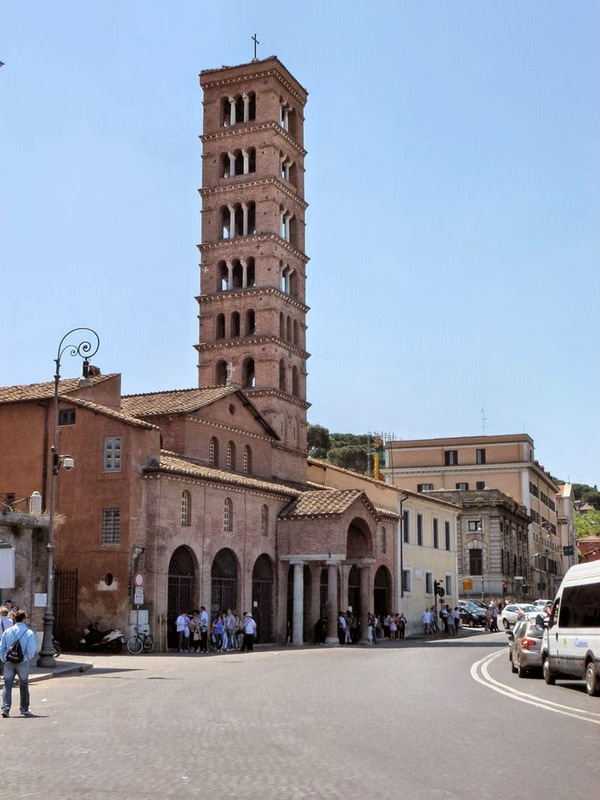 The Church of Santa Maria is famous for the Bocca della Verita - the mouth of truth. 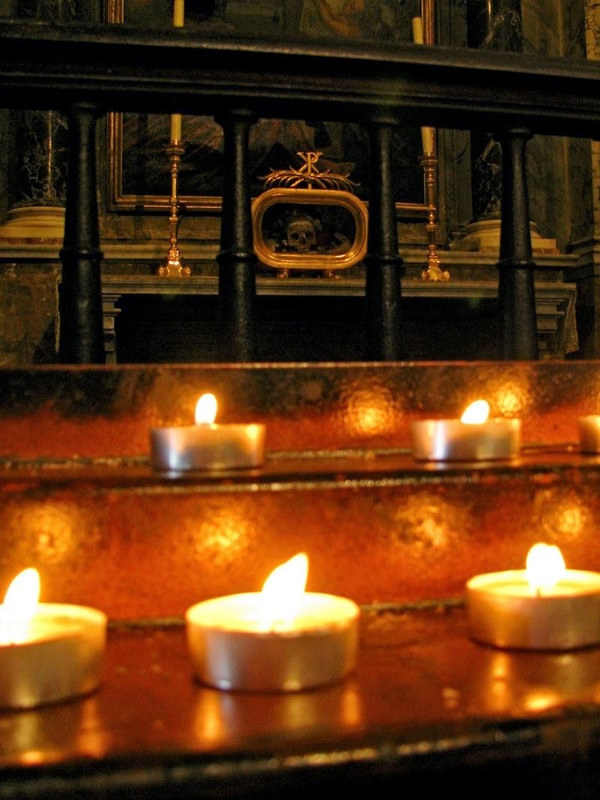 The name Valentine comes from the latin 'valere' which means 'feel good' and the Saint was famous among his contemporaries its healing powers through faith. 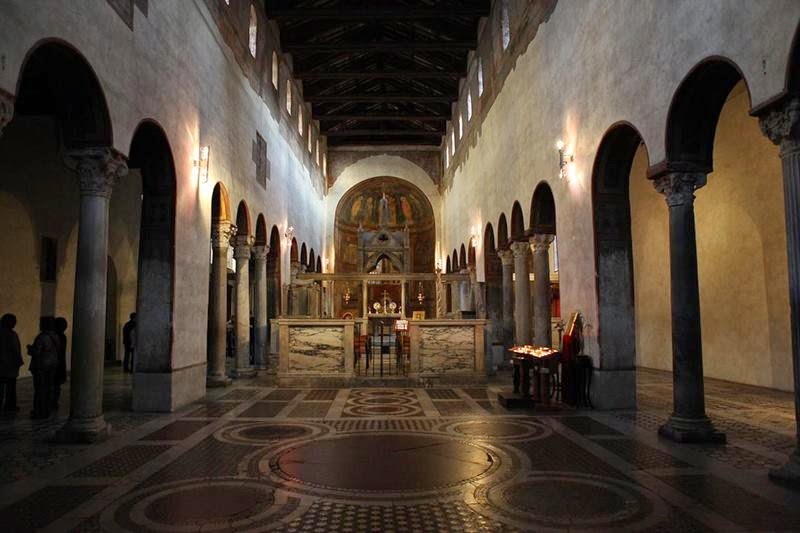 However the many anecdotes linked with Saint Valentines explain well the reason way he has been chosen later by the Church as the patron protector of lovers. But we must know the exactly whose skull it is, but the reality is much more complicated. 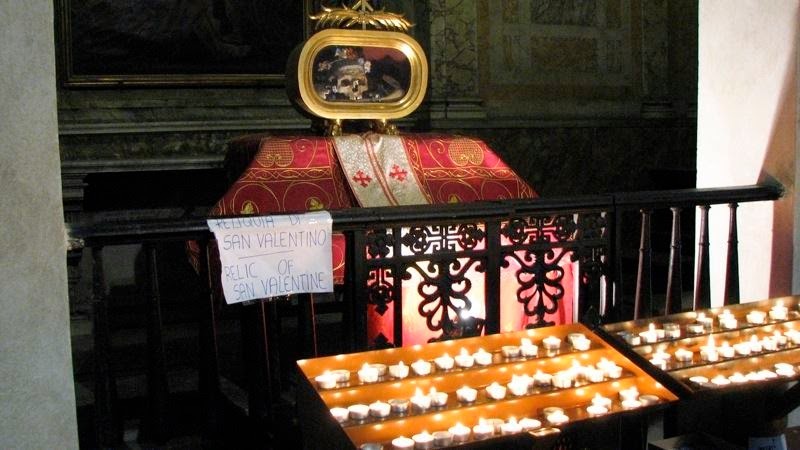 The St. Valentine who inspired the holiday may have been two different men. 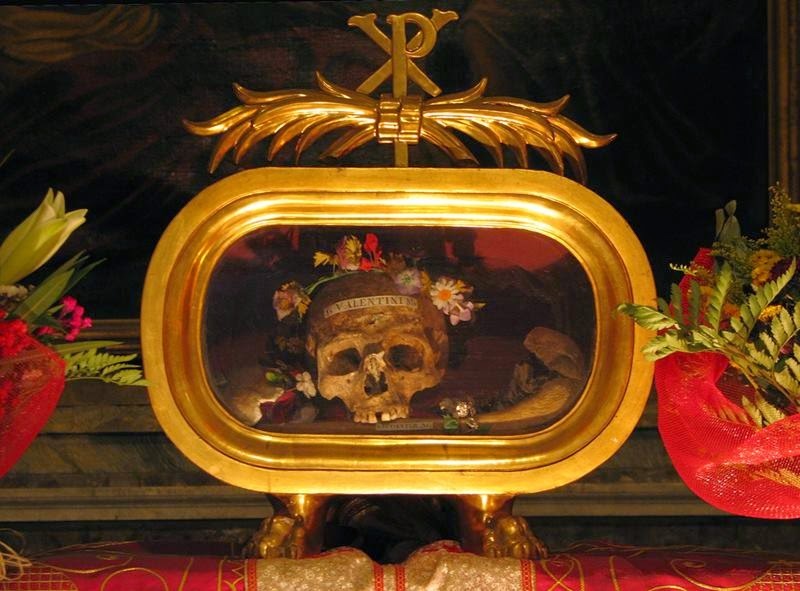 Officially recognized by the Roman Catholic Church, St. Valentine is known to be a real person who died around A.D. 270. 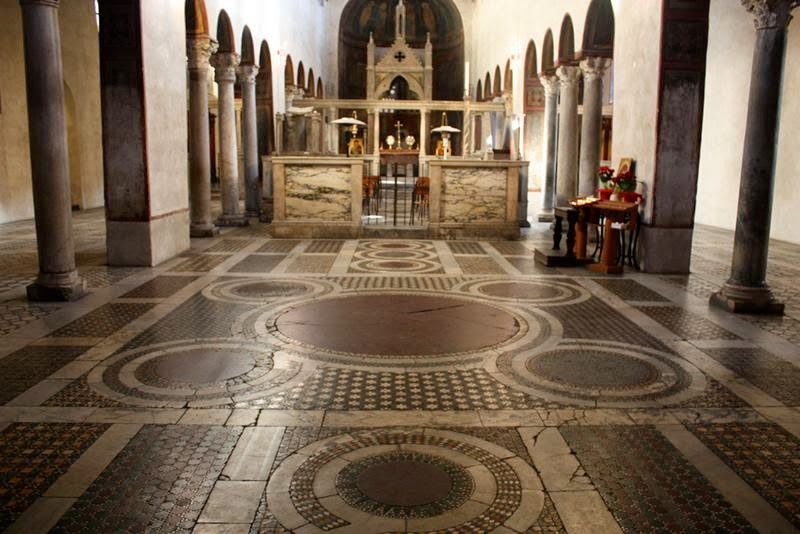 However, his true identity was questioned as early as A.D. 496 by Pope Gelasius I, who referred to the martyr and his acts as “being known only to God.” One account from the 1400s describes Valentine as a temple priest who was beheaded near Rome by the emperor Claudius II for helping Christian couples wed. A different account claims Valentine was the Bishop of Terni, also martyred by Claudius II on the outskirts of Rome. Because of the similarities of these accounts, it’s thought they may refer to the same person. 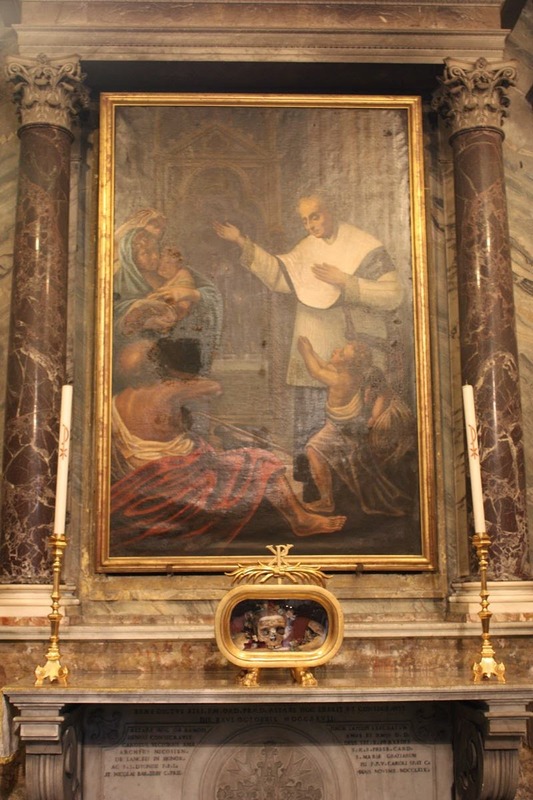 Enough confusion surrounds the true identity of St. Valentine that the Catholic Church discontinued liturgical veneration of him in 1969, though his name remains on its list of officially recognized saints. 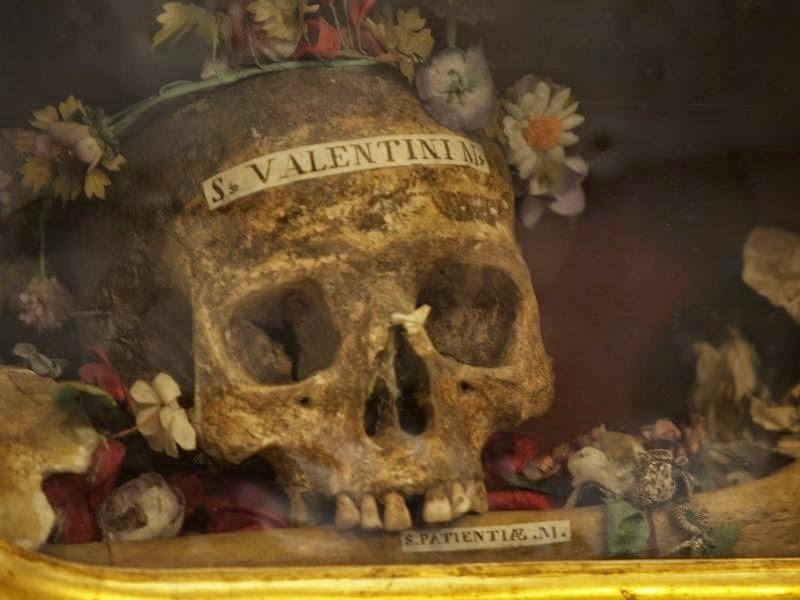 In the early 1800s, the excavation of a catacomb near Rome yielded skeletal remains and other relics now associated with St. Valentine. 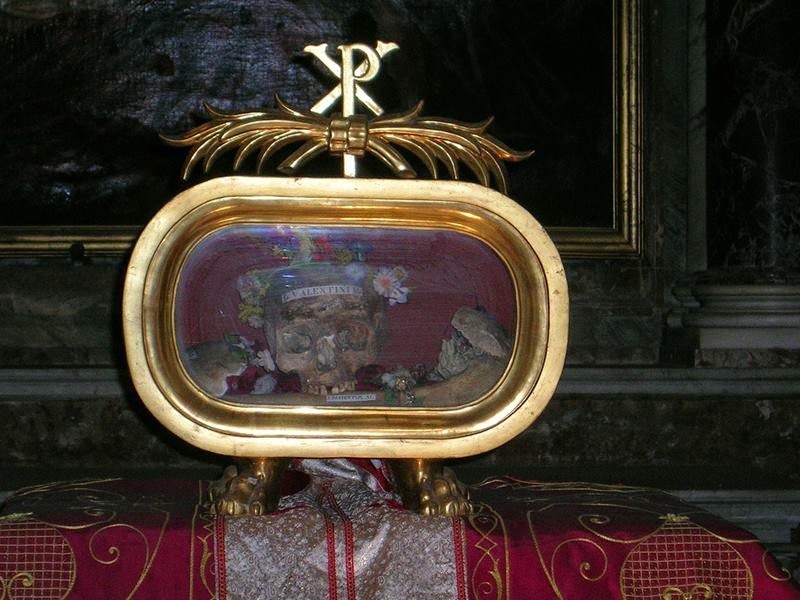 As is customary, these bits and pieces of the late saint’s body have subsequently been distributed to reliquaries around the world. 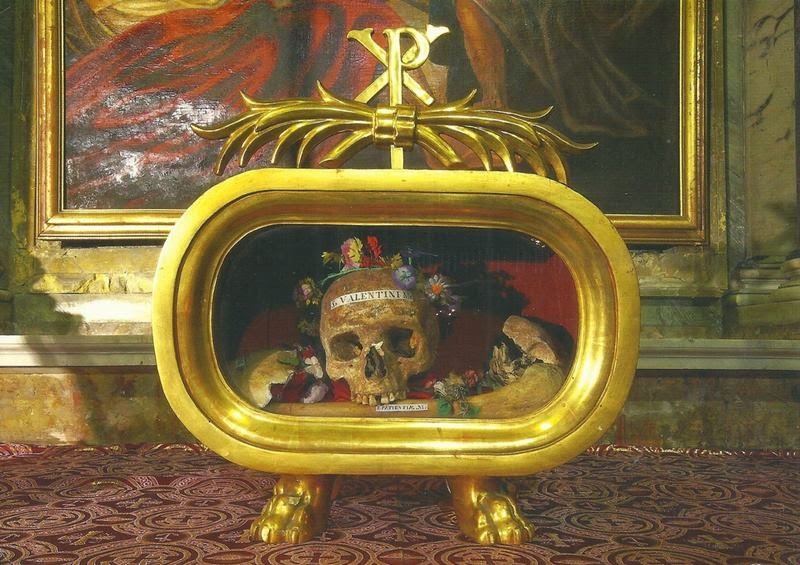 We’ll find other bits of St. Valentine’s skeleton on display in the Czech Republic, Ireland, Scotland, England and France.